of 73 years, 2 months and 9 days. Ernest grew to manhood in the Stuttgart-Phillipsburg area and farmed the family farm where he was born until his retirement. Ill health finally caused him to become a resident of the Phillips County Hospital in Phillipsburg. 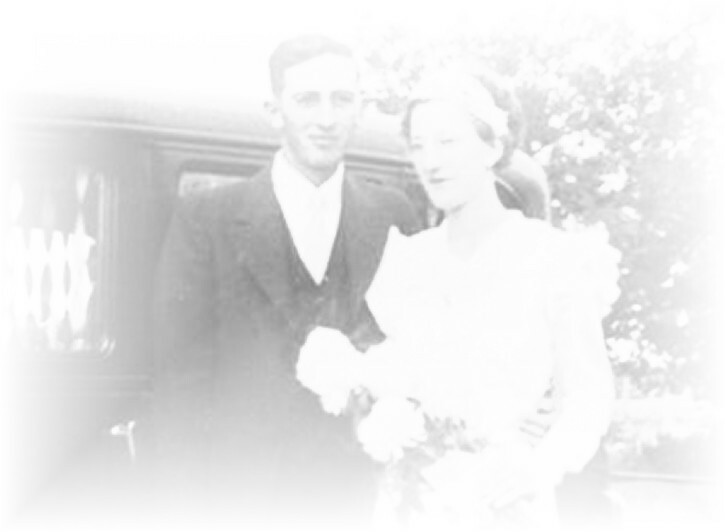 On November 13, 1910, Ernest was baptized into the Christian faith at the Emmanuel Lutheran Church, Stuttgart, Kansas and he was confirmed in the Lutheran faith on June 1, 1924, at the Emmanuel Lutheran Church. He was a member of the Emmanuel Lutheran Church of Stuttgart all his life. 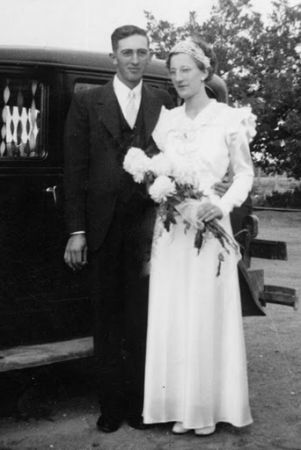 Ernest was united in marriage with Freda Merklein on October 13, 1937, at the Emmanuel Lutheran Church, Stuttgart, Kansas. To this union three sons, Loren, Melvin and Dale were born. Ernest was preceded in death by his parents and by a stillborn sister. He leaves to mourn his passing his wife, Freda of the home at rural Phillipsburg; three sons and their wives: Loren and his wife, Carol, Thousand Oaks, California, Melvin and his wife Patricia, Los Angeles, California and Dale and his wife Debbie, Leawood, Kansas. He leaves five grandchildren: Christopher Eltiste, Chatsworth, California; Kacey and Melissa Eltiste, Los Angeles, California; and Torey and Brandon Eltiste, Thousand Oaks, California. He also leaves many cousins, a large number of other relatives, and many, many friends. Memorial Services were held at the Emmanuel Lutheran Church, Stuttgart, Kansas, on Wednesday, January 11, with the Rev. Duane Levin officiating. Hymns were sung by the congregation with Mrs. Marene Levin as organist. Casket bearers were Melvin Hesterman, Loren Grau, Lee Vogel, Duane Merklein, Eldon Miller and Robert Merklein. Interment was in the Emmanuel Lutheran Church Cemetery, Stuttgart, to await the resurrection. We extend our sincere appreciation for the many kindnesses shown us at the time of the loss of our loved one. The cards, flowers, memorial contributions, food brought in and other thoughtful deeds brought much comfort and will always be remembered.